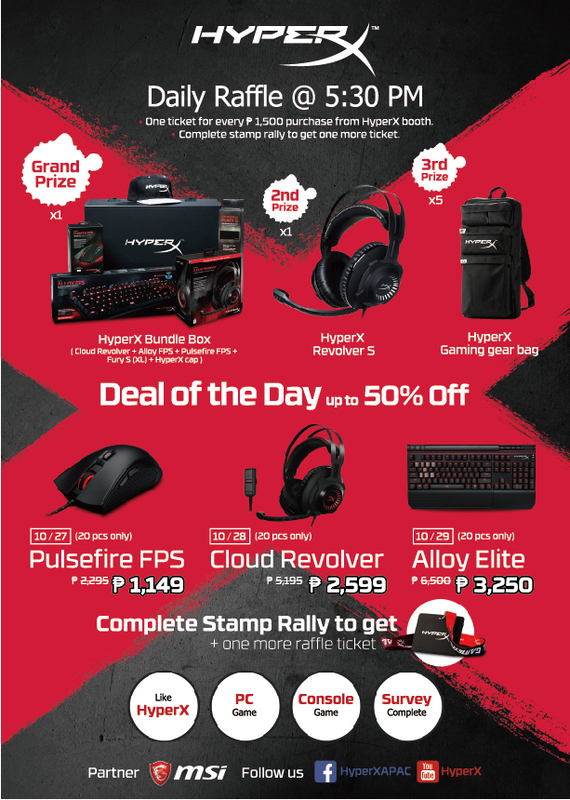 HyperX, the gaming division of Kingston Technology, today announced their presence at ESGS 2017 and all the fun activities to engage with the vast Gaming Community at SMX Convention Center from October 27th to October 29th. This year, HyperX is excited to invite eSports team Execration to greet and play with fans. Upon visiting HyperX Booth, fans will be able to experience HyperX’s extreme gaming gears, win exclusive prizes and get selected products with a great bargain up to 50% off! As DOTA 2 being one of the most popular games in Philippines, HyperX is honored to invite eSports team Execration, who just claimed DOTA 2 The Major League Championship Title, to meet and greet the local fans on Oct. 28th at 3 pm. While having fun all day at the HyperX booth, gamers can also win a host of prizes, from HyperX gaming gear bags, right up to the major raffle prizes of premium HyperX bundle box, which includes the entire set of HyperX gaming peripherals. 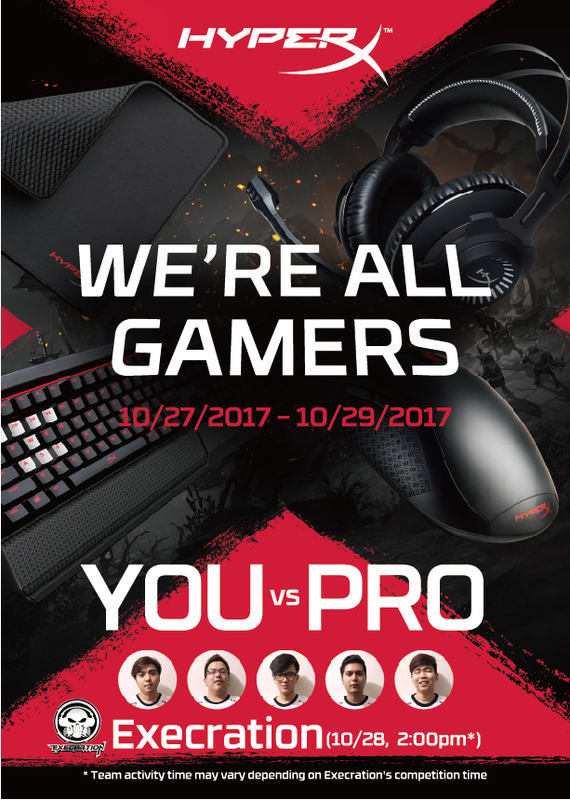 Come to ESGS this weekend and enjoy the annual gaming festival with HyperX! HyperX is the high-performance product division of Kingston Technology encompassing high-speed DDR4 and DDR3 memory, SSDs, USB Flash drives, headsets and mouse pads. Targeted at gamers, overclockers and enthusiasts, HyperX is known throughout the world for quality, performance and innovation. HyperX is committed to eSports as it sponsors over 30 teams globally and is the main sponsor of Intel Extreme Masters. HyperX can be found at many shows including China Joy, DreamHack, ESL One, and PAX.